If your tablet has become your sous chef, here’s the perfect way to keep it clean, off the counter and in perfect view: Upper Desk’s Portable Cabinet Mount. There are a lot of products out there that will hold your smart device while you work in the kitchen. The problem is that most of them take up valuable kitchen counter real estate. This cabinet mount securely installs to a cabinet or shelf in seconds and can be used with tablets and other smart devices (like your phone). It’s got an easy latch system that requires no tools or permanent hardware, so it won’t leave marks or holes. Very portable. Upper Desk’s Portable Cabinet Mount works in either landscape or portrait mode and is compatible with protective cases. 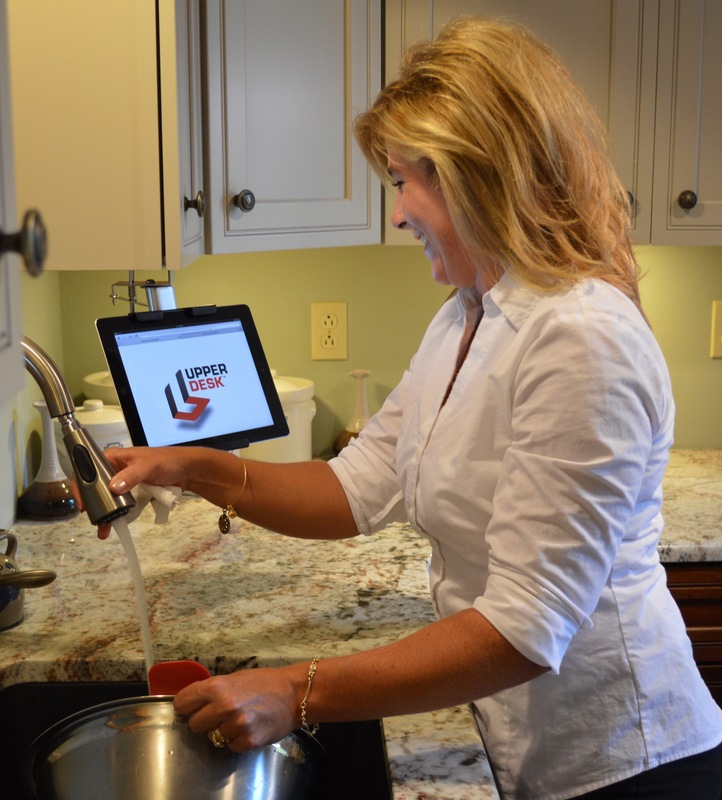 And, it’s not just for kitchens… you can use it anywhere you want to view your smart device hands-free. Great for step-by-step tutorials! I met Roderick Phillips, the mount’s inventor, at the recent International Home and Housewares Show in Chicago and he asked me to give his product a try. Mr. Phillips came up with the device while tinkering in his garage. 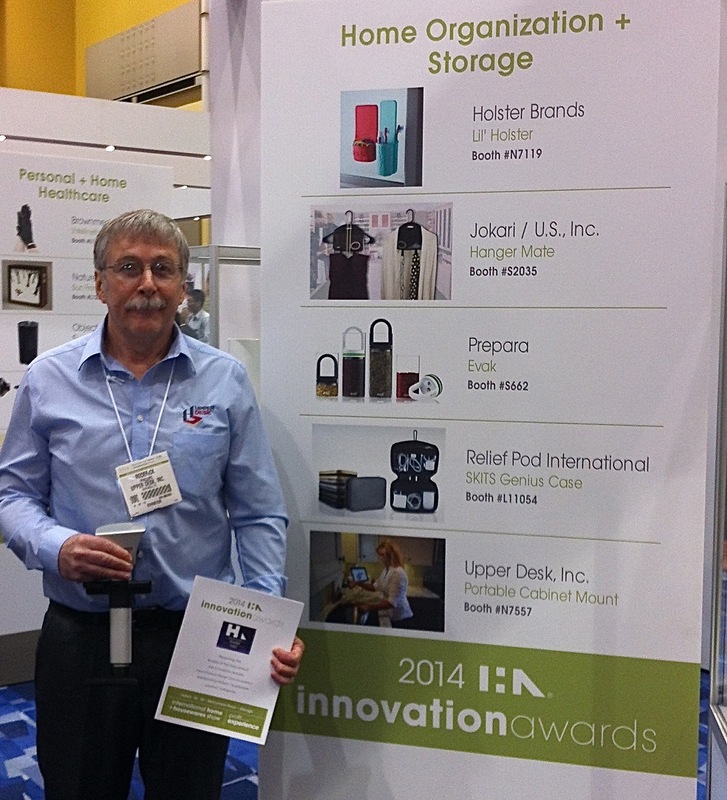 It’s such a great product, it was selected as a finalist in the Home Organization + Storage category at the 3rd International Housewares Association (IHA) Innovation Awards. Way to go Mr. Phillips! I love it when people have dreams and work to make them real. It’s sweet. My mom totally needs one of these!